Dependency or Span, End-to-End Uniform Semantic Role Labeling, Proceedings of The Thirty-Third AAAI Conference on Artificial Intelligence (AAAI-19), January 27 - February 1, 2019, Honolulu, Hawaii, USA. 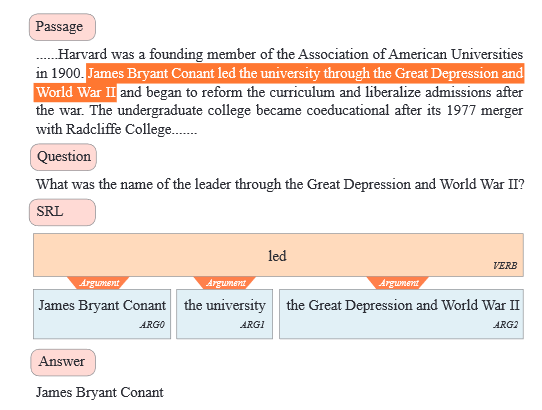 Semantic role labeling (SRL) aims to discover the predicate-argument structure of a sentence. End-to-end SRL withoutsyntactic input has received great attention. However, mostof them focus on either span-based or dependency-based semantic representation form and only show specific model optimization respectively. Meanwhile, handling these two SRL tasks uniformly was less successful. This paper presents an end-to-end model for both dependency and span SRL with a unified argument representation to deal with two different types of argument annotations in a uniform fashion. Furthermore, we jointly predict all predicates and arguments,especially including long-term ignored predicate identification subtask. Our single model achieves new state-of-the-artresults on both span (CoNLL 2005, 2012) and dependency(CoNLL 2008, 2009) SRL benchmarks. Zhuosheng Zhang, Jiangtong Li, Pengfei Zhu, Hai Zhao and Gongshen Liu. Modeling Multi-turn Conversation with Deep Utterance Aggregation, Proceedings of the 27th International Conference on Computational Linguistics (COLING 2018), pp.3740–3752, August 20-26, 2018, Santa Fe, New Mexico, USA. Multi-turn conversation understanding is a major challenge for building intelligent dialogue systems. This work focuses on retrieval-based response matching for multi-turn conversation whose related work simply concatenates the conversation utterances, ignoring the interactions among previous utterances for context modeling. In this paper, we formulate previous utterances into context using a proposed deep utterance aggregation model to form a fine-grained context representation. In detail, a self-matching attention is first introduced to route the vital information in each utterance. Then the model matches a response with each refined utterance and the final matching score is obtained after attentive turns aggregation. Experimental results show our model outperforms the state-of-the-art methods on three multi-turn conversation benchmarks, including a newly introduced e-commerce dialogue corpus. Zhuosheng Zhang, Yafang Huang and Hai Zhao. Subword-augmented Embedding for Cloze Reading Comprehension, Proceedings of the 27th International Conference on Computational Linguistics (COLING 2018), pp.1802–1814, August 20-26, 2018, Santa Fe, New Mexico, USA. Representation learning is the foundation of machine reading comprehension. In state-of-the-art models, deep learning methods broadly use word and character level representations. However, character is not naturally the minimal linguistic unit. In addition, with a simple concatenation of character and word embedding, previous models actually give suboptimal solution. In this paper, we propose to use subword rather than character for word embedding enhancement. We also empirically explore different augmentation strategies on subword-augmented embedding to enhance the cloze-style reading comprehension model reader. In detail, we present a reader that uses subword-level representation to augment word embedding with a short list to handle rare words effectively. A thorough examination is conducted to evaluate the comprehensive performance and generalization ability of the proposed reader. Experimental results show that the proposed approach helps the reader significantly outperform the state-of-the-art baselines on various public datasets. Zhuosheng Zhang and Hai Zhao. One-shot Learning for Question-Answering in Gaokao History Challenge, Proceedings of the 27th International Conference on Computational Linguistics (COLING 2018), pp.449–461, August 20-26, 2018, Santa Fe, New Mexico, USA. Answering questions from university admission exams (Gaokao in Chinese) is a challenging AI task since it requires effective representation to capture complicated semantic relations between questions and answers. In this work, we propose a hybrid neural model for deep question-answering task from history examinations. Our model employs a cooperative gated neural network to retrieve answers with the assistance of extra labels given by a neural turing machine labeler. 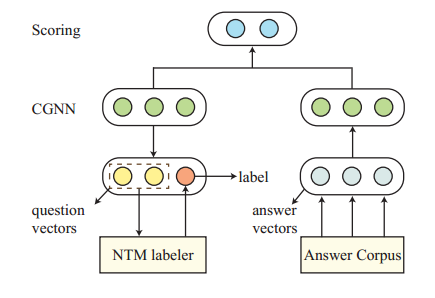 Empirical study shows that the labeler works well with only a small training dataset and the gated mechanism is good at fetching the semantic representation of lengthy answers. Experiments on question answering demonstrate the proposed model obtains substantial performance gains over various neural model baselines in terms of multiple evaluation metrics. Zhuosheng Zhang, Yafang Huang, Pengfei Zhu, Hai Zhao. Effective Character-augmented Word Embedding for Machine Reading Comprehension, Proceedings of the Seventh CCF International Conference on Natural Language Processing and Chinese Computing (NLPCC 2018), pp.27-39, August 26-30, 2018, Hohhot, China. Machine reading comprehension is a task to model relationship between passage and query. In terms of deep learning framework, most of state-of-the-art models simply concatenate word and character level representations, which has been shown suboptimal for the concerned task. In this paper, we empirically explore different integration strategies of word and character embeddings and propose a character-augmented reader which attends character-level representation to augment word embedding with a short list to improve word representations, especially for rare words. Experimental results show that the proposed approach helps the baseline model significantly outperform state-of-the-art baselines on various public benchmarks. Yafang Huang, Zuchao Li, Zhuosheng Zhang, Hai Zhao. Neural-based Chinese Pinyin Aided Input Method with Customizable Association, Proceedings of the 56th Annual Meeting of the Association for Computational Linguistics (ACL 2018), System Demonstration, pp.140–145, Melbourne, Australia, July 15-20, 2018. Chinese pinyin input method engine(IME) lets user conveniently input Chinese into a computer by typing pinyin through the common keyboard. In addition to offering high conversion quality, modern pinyin IME is supposed to aid user input with extended association function. However, existing solutions for such functions are roughly based on oversimplified matching algorithms at word-level, whose resulting products provide limited extension associated with user inputs. This work presents the Moon IME, a pinyin IME that integrates the attention-based neural machine translation (NMT) model and Information Retrieval (IR) to offer amusive and customizable association ability. The released IME is implemented on Windows via text services framework. A Unified Syntax-aware Framework for Semantic Role Labeling, Proceedings of the 2018 Conference on Empirical Methods in Natural Language Processing (EMNLP 2018), October 31 - November 4, 2018, Brussels, Belgium. Zhuosheng Zhang, Jiangtong Li, Hai Zhao, Bingjie Tang. This paper describes a hypernym discovery system for our participation in the SemEval-2018 Task 9, which aims to discover the best (set of) candidate hypernyms for input concepts or entities, given the search space of a pre-defined vocabulary. We introduce a neural network architecture for the concerned task and empirically study various neural network models to build the representations in latent space for words and phrases. The evaluated models include convolutional neural network, long-short term memory network, gated recurrent unit and recurrent convolutional neural network. We also explore different embedding methods, including word embedding and sense embedding for better performance. Pengfei Zhu, Zhuosheng Zhang, Jiangtong Li, Yafang Huang, Hai Zhao. Lingke: A Fine-grained Multi-turn Chatbot for Customer Service, Proceedings of the 27th International Conference on Computational Linguistics (COLING 2018), System Demonstrations, pp.108–112, August 20-26, 2018, Santa Fe, New Mexico, USA. Traditional chatbots usually need a mass of human dialogue data, especially when using supervised machine learning method. Though they can easily deal with single-turn question answering, for multi-turn the performance is usually unsatisfactory. In this paper, we present Lingke, an information retrieval augmented chatbot which is able to answer questions based on given product introduction document and deal with multi-turn conversations. We will introduce a fine-grained pipeline processing to distill responses based on unstructured documents, and attentive sequential context-response matching for multi-turn conversations. Zuchao Li, Shexia He, Zhuosheng Zhang and Hai Zhao. Joint Learning of POS and Dependencies for Multilingual Universal Dependency Parsing, CoNLL 2018: The SIGNLL Conference on Computational Natural Language Learning, October 31 – November 1, 2018, Brussels, Belgium. This paper describes the system of team LeisureX in the CoNLL 2018 Shared Task: Multilingual Parsing from Raw Text to Universal Dependencies. Our system predicts the POS tag and dependency tree jointly. For the basic tasks, including tokenization, lemmatization and morphology prediction, we employ the official baseline model (UDPipe). To train the lowresource languages, we adopt a sampling method based on other rich-resource languages. Our system achieves a macroaverage of 68.31% LAS F1 score despite of single model, with an improvement of 2.51% compared with the UDPipe. Zhuosheng Zhang, Yuwei Wu, Zuchao Li, Shexia He, Hai Zhao. I Know What You Want: Semantic Learning for Text Comprehension, arXiv:1809.02794. Character-level representations have been broadly adopted to alleviate the problem of effectively representing rare or complex words. However, character itself is not a natural minimal linguistic unit for representation or word embedding composing due to ignoring the linguistic coherence of consecutive characters inside word. This paper presents a general subword-augmented embedding framework for learning and composing computationally-derived subword-level representations. We survey a series of unsupervised segmentation methods for subword acquisition and different subword-augmented strategies for text understanding, showing that subword-augmented embedding significantly improves our baselines in multiple text understanding tasks on both English and Chinese languages. Zhuosheng Zhang, Hai Zhao, Kangwei Ling, Jiangtong Li, Zuchao Li, Shexia He. Effective Subword Segmentation for Text Comprehension, arXiv:1811.02364. Zhuosheng Zhang, Shexia He, Zuchao Li, Hai Zhao. Attentive Semantic Role Labeling with Boundary Indicator, arXiv:1809.02796. The goal of semantic role labeling (SRL) is to discover the predicate-argument structure of a sentence, which plays a critical role in deep processing of natural language. 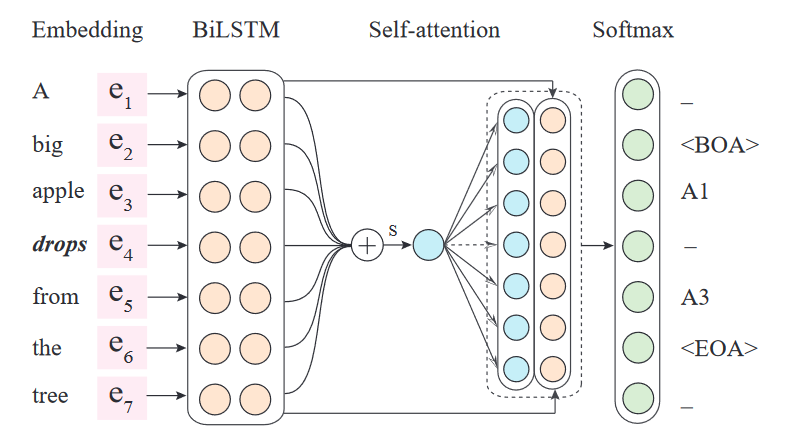 This paper introduces simple yet effective auxiliary tags for dependency-based SRL to enhance a syntax-agnostic model with multi-hop self-attention. Our syntax-agnostic model achieves competitive performance with state-of-the-art models on the CoNLL-2009 benchmarks both for English and Chinese. Neural-based Pinyin-to-Character Conversion with Adaptive Vocabulary, arXiv:1811.04352. Pinyin-to-character (P2C) conversion is the core component of pinyin-based Chinese input method engine (IME). However, the conversion is seriously compromised by the ambiguities of Chinese characters corresponding to pinyin as well as the predefined fixed vocabularies. To alleviate such inconveniences, we propose a neural P2C conversion model augmented by a large online updating vocabulary with a target vocabulary sampling mechanism. Our experiments show that the proposed approach reduces the decoding time on CPUs up to 50 on P2C tasks at the same or only negligible change in conversion accuracy, and the online updated vocabulary indeed helps our IME effectively follows user inputting behavior. Zhuosheng Zhang, Haojun Ai, Jingyuan Xue, Fangfang Ma, Shengyuan Zhangyin. Intelligent Library System Using iBeacon Firmwares, Electronic Engineering & Product World for Engineering Managers & Desingers, 2015, (1): 16-21. According to technical architecture of internet of things, we designed a comprehensive solution for the intelligent library system based on the iBeacon indoor positioning technology, 3D-based real-scene, mobile Internet, and SaaS model, etc. This solution supported multiple services, such as the intelligent positioning and navigation service, reality-augmented location aware service , 3D space supervision, personalized service. For the readers, they can acquire diversiform service, such as intelligent book retrieval, library navigation, message push. For the librarians, they can obtain the details of readers and the operation condition of the library by the use of Unity3D to build the scene of the library. The indoor location solution was designed based on the RF fingerprint of iBeacons, in which the KNN, the Inverse Distance to a Power and the IMU sensors were used. The precision of this algorithm is better than the trilateration. As for system deployment and maintainability, our system is be superior to the positioning system based on WI-FI. The opened API was provided to the third party application in the service layer of the SaaS architecture where KVP standard is used in the HTTP access requirement. J2EE framework was used to provide the appropriate interface for the internet of things architecture. Multiple devices, library space information and user registration can be managed in the perception layer, data layer and application layer. Zhuosheng Zhang, Haojun Ai, Fangfang Ma, Jingyuan Xue, Shengyuan Zhangyin. Research on elaborate indoor positioning method based on iBeacon Firmwares, Geomatics World, 2015, (2): 26-30. Apple released iBeacon as a rough-precision position sensing distance service system, has attracted extensive attention. For more sophisticated wide-area location services, wireless fingerprinting positioning method is proposed based on iBeacon, and we give an example of location based service system of library. Zhuosheng Zhang, Yafang Huang, Jiaxun Cai, Yingting Wu, Zhen Meng, Hai Zhao. The 1st Evaluation Workshop on Chinese Machine Reading Comprehension Task (CCL-CMRC 2017), Oral presentation, CCL/CMRC, 2017. This paper describes our system about cloze-style question answering for the participation in the Chinese Machine Reading Comprehension (CMRC 2017) task. 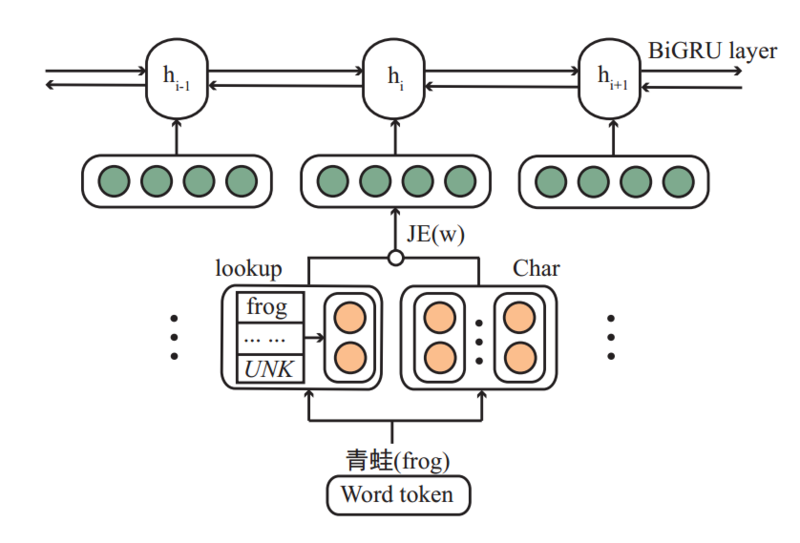 Our system adopts Gated-Attention Reader and uses neural networks to compose word representations from character embedding inputs. Our system ranks the best among all submitted single model systems and the second in the cloze-style track with following performance on the test set: 77.73% (single model) and 80.67% (ensemble model) answer prediction accuracy. Yiming Wang, Mang Ye, Qingming Leng, Bingyue Huang, Zheng Wang, Dongjing Liu, Zhuosheng Zhang, Su Mao, Chao Liang. WHU-NERCMS at TREVCID 2014:Instance search task, Participant Notebook Paper , TRECVID, 2014. This paper introduces our work at the automatic instance search task of TRECVID 2014. Our work is divided into two parts: First part is object retrieval based on BOW. Specially, we extract feature histogram of frames through general BoW. We adopt similarity measure method to compare the probe and gallery shots, then we obtain the initial ranking results; Second, several optimization strategies are adopted to improve the initial results. Teaching Assistant for "Natural language understanding (F033569)", Shanghai Jiao Tong University, Spring 2018.